ISO/IEC 27001 Lead Implementer five-day (2 Months regular course) intensive course enables the participants to develop an expertise to support an organization in implementing and managing an Information Security Management System (ISMS) as specified in ISO/IEC 27001. Participants will also master the best practices for implementing information security controls from eleven areas of ISO/IEC 27002:2005. ISO/IEC 27001 International Standard can be used by internal and external parties to assess the organization’s ability to meet the organization’s own information security requirements. 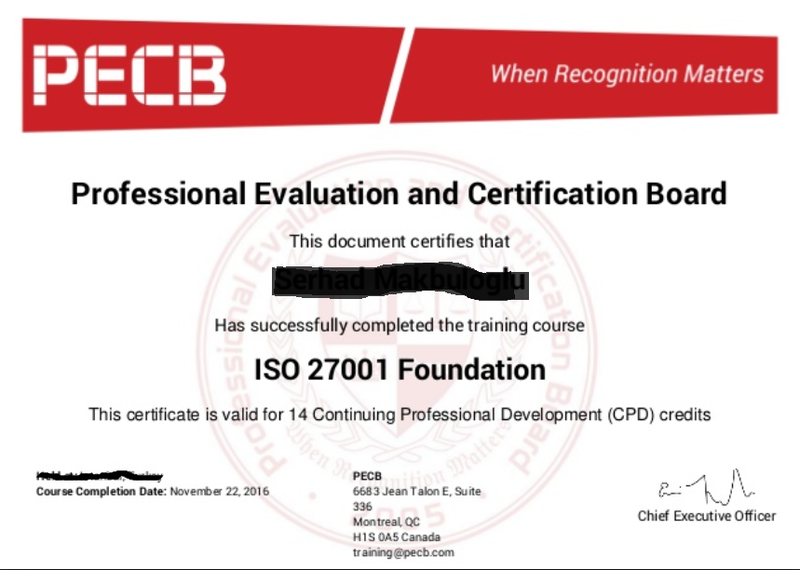 The “PECB Certified ISO/IEC 27001 Lead Auditor” exam fully meets the requirements of the PECB Examination Certification Programme (ECP). Participants will also master the best practices for implementing information security controls from eleven areas of ISO/IEC 27002:2005.